Bangui (Agenzia Fides) - "We strongly condemn these acts. The men of God have the task of announcing the path of peace and reconciliation", said His Eminence Cardinal Dieudonné Nzapalainga, in condemning, together with Imam Omar Kobine Layama, the killing of Fr. 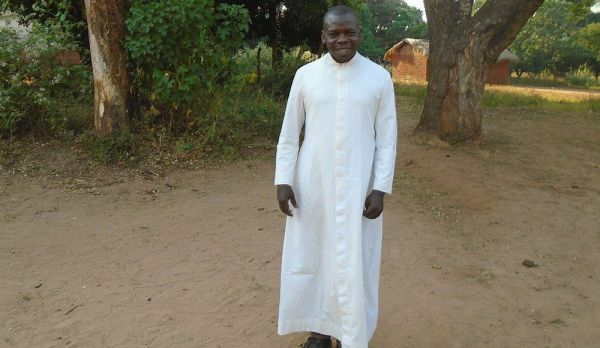 Joseph Désiré Angbabata, parish priest of Séko, a resort 60 km from Bambari, who died due to the injuries received in the parish assault (see Fides 23 and 24/3/2018). The population is suffering the consequences of the clashes which broke out on March 20 in several villages in the area, between the UPC (Unité pour la paix en Centrafrique), formation led by d'Ali Darass, and the anti balaka militiamen. Among the dead there are the director of the school of Goubali, Passi Kouzounéyé, and his wife, who determined the closure of schools in all the villages affected by the fighting, whose population was also forced to flee, given that different houses were looted and set on fire in the attack. Several dozen people were killed and their bodies were buried in mass graves. A spokesman for the UPC denied that his group had perpetrated the assaults, stating that they were committed by "bandits".